On Saturday 21st July 2018, 16 year old Conor Tweedy sustained a catastrophic spinal injury while playing sport for his school. A scrum collapse caused a fracture dislocation and spinal cord injury at C4-C5, resulting in weakness and/or paralysis of the muscles in arms and legs as well as those required for breathing. His youth, strength and determination have helped him to cope with the injury and will be critical for recovery. But that will not be enough. Conor’s injury is very serious. The best management and optimal outcomes will require significant funding for equipment, therapy, and personal support. Please make a tax deductible donation to support Conor’s management and recovery. Donations over $2 are fully tax deductible. Conor is a strapping 6 foot 2 inch 16 year old. He has always loved rugby and was a very versatile player – as a member of the Terrace 16As he played every position in the forward pack in 2017. Coming into the 2018 season he was settling in the front row and was selected to play tight head prop for the Terrace Second VX in the first round of the 2018 GPS Schools rugby season – 21. 7. 18 against BBC. The first scrum of the game took place at 1:10pm. The ball was cleared but the scrum collapsed and that was the turning point – when everyone else got up to chase the ball Conor didn’t move. He just lay on the ground with his neck twisted to the side. Conor was transported to the Princess Alexandra Hospital in an ambulance. He knew things were serious but he was incredibly calm. On the way he asked his father to call his sister (Georgina) and brother (Seamus) so he could speak to them because he knew they would be worried and he wanted to let them know he was ok.
At PA Hospital a spinal surgeon was waiting for him, he had X Rays and a CT scan and immediately went to theatre. He has fractured and dislocated his neck at a high level and has had two operations to stabilise it. The operation was completed at 5:30pm – incredibly quickly, with a second operation 24 hours later. His care throughout has been exemplary. He spent a few days in ICU on life support and then was fortunately able to take over the breathing by himself. He is completely paralysed in his legs and has some movements in his shoulders and elbows but not his hands. He has some patchy sensation over most of his body, which is encouraging. Conor has a superb sense of humour and is what you might call tough and resilient. Currently the expectation is that he will be in hospital for 6 - 9 months. 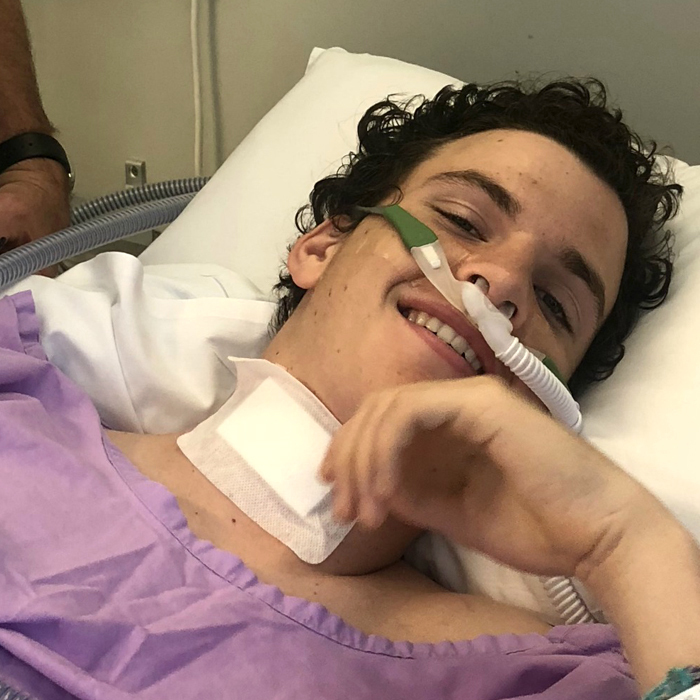 He remains a Rugby tragic and spends his time watching games on his laptop in hospital – he had the next weeks game (vs. Nudgee College) livestreamed in to the hospital. His biggest heroes are Samu Kerevi and David Pocock. Conor’s father Sean Tweedy played for the Queensland Reds and won 3 First Grade Premierships with the University of Queensland Rugby Club (1988-90). Sean is an Associate Professor in the School of Human Movement and Nutrition Sciences at UQ and has spent his whole professional life working with people with spinal injuries and other severe disabilities. He is an expert on para sport classification. Conor’s mother Rebecca Tweedy is a musculoskeletal Physiotherapist. Conor loves sport and is keen to return to elite competitive sport, in whatever form that takes. We are extraordinarily grateful for the support we have received from family, friends, the extended Terrace family, and the Queensland and Australian community. Thank you for your generosity in the form of kind words, prayers, meals, donations and other kindnesses that have supported us through this time.